Indianapolis, Indiana – Dean Graham, founder of now-defunct Help Indiana Vets, Inc. (“HIVI”), both of Acton, Indiana, was interviewed by Indianapolis television station Fox 59 regarding recent publicity about lavish spending of Wounded Warrior Project, which Graham and HIVI had first alleged in 2010. Indianapolis intellectual property attorney Paul Overhauser, publisher of this blog, was also interviewed. Graham, a retired veteran, founded HIVI in 2010. HIVI operated with a few thousand dollars in outside donations and over $27,000 donated by Graham and his wife from their personal savings. Of those donations, 100% was spent directly on providing assistance to veterans in need. In response to these statements and others, WWP in November 2013 engaged lawyers from two law firms, Barnes & Thornburg LLP, one of the largest law firms in the United States, and Kutak Rock LLP, a 500-plus attorney firm, to jointly sue HIVI and Graham on WWP’s behalf. 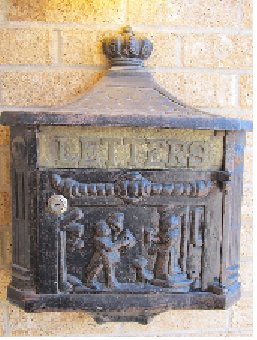 The complaint asserted, inter alia, defamation and false advertising under the Lanham Act. Attorney Overhauser, whose practice of law focuses on intellectual property litigation, volunteered to provide some assistance to Graham and HIVI in defending against WWP’s allegations. Nonetheless, by June 2014, concerned for the effects that the lawsuit was having on his family, Graham acceded to WWP’s demands. He shuttered his charity and its website. 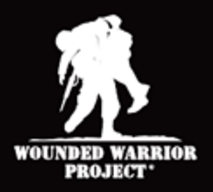 Following a story first broken in January by the New York Times, titled “Wounded Warrior Project Spends Lavishly on Itself, Insiders Say,” the national media have recently covered WWP extensively. Much of the attention has been focused on WWP’s “aggressive styles of fund-raising, marketing and personnel management” as well as the millions of dollars in “lavish spending on luxury travel, fancy meals and swanky getaways that rivals the amount spent on its combat stress-recovery program.” According to Fox 59, research revealed that about 40 cents of each dollar donated went to lavish spending. After an independent review of the organization’s finances, WWP dismissed its Chief Executive Officer, Steve Nardizzi, and its Chief Operating Officer, Al Giordano. This story was also covered on a local Indiana channel, Fox 59, in an interview featuring both Graham and Overhauser. “We knew about activities [like] large parties and expenses. It was even bigger than I imagined,” said Graham. “I hope that this really does clean up from top to bottom and [cause] some changes that will be positive for veterans. A video of the interviews featured on Fox 59 can be viewed here: http://via.fox59.com/prxMt. West Lafayette, Indiana – Startups based on Purdue University patented intellectual property have raised more than $96 million in the past two years in local, state, federal and private funding and created 156 positions. 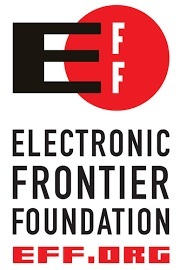 Electronic Frontier Foundation’s call to Congress for the Next Great Copyright Act). This week, EFF and others are also celebrating the third annual Copyright Week. Rep. Brooks, the Republican co-chair of the Congressional High-Tech Women’s Caucus, represents a burgeoning area of startups and entrepreneurship in the technology sector. In her first term, Brooks co-chaired a subcommittee focused on emergency preparedness, response and communications. Since then, she’s introduced the Social Media Working Group Act, which passed the House twice, and is awaiting action in the Senate. If passed, the bill would codify the Homeland Security Department’s Social Media Working Group, which meets regularly to improve the department’s social media techniques. The bill would also bring representatives from academia and the private sector into the working group. Washington, D.C. – The U.S. Commerce Department’s United States Patent and Trademark Office (“USPTO”) recently announced the latest winners of the Patents for Humanity program. 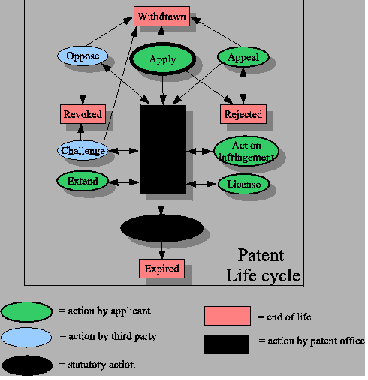 The Patents for Humanity program was launched by the USPTO in February 2012 as part of an Obama administration initiative promoting game-changing innovations to solve long-standing development challenges. The Patents for Humanity Award is the top award for applicants best representing the Patents for Humanity principles. Award recipients will receive public recognition at an award ceremony sponsored by the USPTO. They will also receive a certificate to accelerate certain matters before the USPTO: a patent application, ex parte reexam, or an ex parte appeal to the Patent Trial and Appeal Board. Inter partes matters and other post-grant proceedings may not currently be accelerated. Honorable mentions will receive accelerated examination of one patent application and a featured write-up on the USPTO website. A portion of honorable mentions may be awarded for the best up-and-coming technologies. 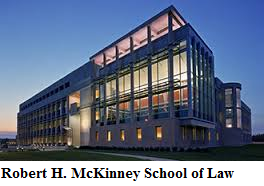 Indiana University Robert H. McKinney School of Law will be hosting its Annual BioPharma/Tech Law Symposium on Thursday, March 12, 2015. CLE credit of 7.0 hours is pending approval. Bloomington, Indiana – The Indiana University Maurer School of Law has selected a prominent intellectual property lawyer to serve as the first full-time director of its intellectual property law clinic. Norman J. Hedges (pictured) will join the law school today as a clinical associate professor of law. 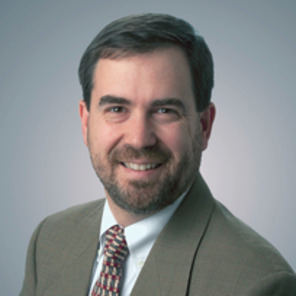 He comes to Bloomington with over 16 years of experience in patent practice in Indianapolis, including 10 years in the Indianapolis office of Faegre Baker Daniels, where he was named partner in 2007. He has been a member of the law school’s adjunct faculty since 2014. The facts are alarming: the cybersecurity threat to the U.S. – and the world – is real and growing. 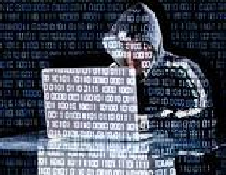 The Economist Magazine reported early this year that one security firm estimated that cybercrime costs the world $113 billion per year and affects 378 million people, while a research institute estimated that malicious cyber-attacks in 2012 cost U.S. companies $277 for each customer’s or user’s account put at risk. To combat the threat, the United States Patent and Trademark Office (“USPTO”) and National Institute of Standards and Technology (“NIST”) have teamed up to explore viable cybersecurity solutions and are asking for help from the public. NIST’s Request for Information is accessible at: https://federalregister.gov/a/2014-20315. The 45-day comment period ends October 10, 2014. All RFI responses should be submitted to cyberframework@nist.gov and will be posted on NIST’s website. 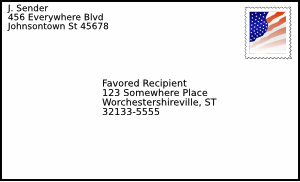 A demand letter is correspondence that states that you are potentially infringing the claims of a patent and requesting that you pay for a license to use the patented invention. You are not legally required to respond to a demand letter, but in some situations that may be the right course of action. Before deciding, consider your options, described below.